Thinking V4 inputs? Hold your horses. V4 soybeans are shooting up and adding trifoliates. And many growers are starting to think about inputs. Before you do, consider the findings of the recent USB funded High Yield Project. Midwestern nitrogen application to v4 soybeans sparked a +3.9% yield change but a 0 to 5% chance of ROI based on 45-75 bushels per acre and $9 beans. So save your money. Adding nitrogen to soybean does not pay. Lactofen works on many broadleaf weeds and on white mold. But it does not enhance yield for Midwestern farmers. The Project measured a 0% probability of ROI when farmers used lactofen to defoliate soybeans and promote branching in Midwestern soybean fields. 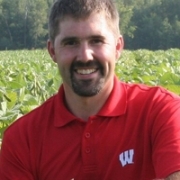 Go here to learn more about how high input systems may increase yield but not profitability.